We examine in depth your Intuitive Inner Aspect and Field, as well as your energetic System of Enlightenment. Welcome to Workshop Ten of the ONA Workshop Series. In this workshop, we will study Enlightenment, the Tenth principle of ONA and the principle that underlies your Tenth Field and Inner Aspect (Intuitive), and System of Enlightenment. All about your tenth System, Field and Inner Aspect. 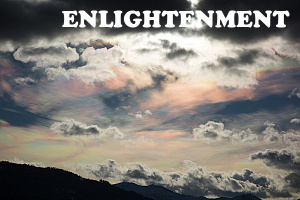 Enlightenment is that state in which a person has gained intellectual or spiritual Light. From this awareness one can instruct others in the path in which they have become more knowledgeable. With this Light one can impart knowledge to, shed light upon or make known or more knowable. En- as an English prefix indicates placing what follows into a specific condition, often to form objectives. The termlighten, is from middle English and is used here to mean less dark, to gleam or shine or brighten, to have a brightened face or eyes, to become more intelligent in spirit. This also means to become more knowledgeable concerning one&apos;s own spirit or sense of spirit. The English Suffix —ment, follows nouns that denote action or the resulting state. How to meditate using the Breathing Technique of Expansion. This breathing technique is a way to expand your realities beyond your everyday world. When you live as the expanded beings that you truly are, you can affect many beneficial changes for others and yourself much more rapidly and accurately. In this technique you want to remember that each breath is an expansion of yourself and those you work with. All about the color of Enlightenment (ultra-violet A, or iridescent if that&apos;s easier for you to picture). The actual color associated with System Ten is Ultraviolet, that is, the "color" that lies one color frequency beyond purple. The problem is, few Humans can directly perceive this color (though it&apos;s quite distinct to bees and many birds.) So we use the pattern called "iridescence" to stand in for ultraviolet in our meditations. The &apos;sound&apos; of Enlightenment and how to use it. This is the energy of the aesthetic beauty that shows the Light within, and creates a new Light of what has come before. The two most important elements of this energy are the demonstration of what is so and the attraction to establish a form of perfection. Simply put, it is the demonstration and establishment of the more fully perfect. This is the energy of knowingly living as the Light of perfection. How to place Light columns to stabilize the energy in an area. You place Light through a physical or intended connection with the point at which Light is to be placed. Before actually placing the Light, first observe the energy present. Get a good sense of feelings, emotions, thoughts, ideas, and especially colors present. If it&apos;s a person, by let him or her describe them as you listen neutrally, without comment in word or expression. If you are placing Light on an animal or inanimate object, spend a few minutes allowing the feel of the energy to come to you. How to practice the Projecting Fields Technique. Now that you have arrived at this level you know that there are three basic kinds of Fields. There are those that are composed of physical energy and range from most obvious to the most subtle of energies imaginable. When we went through the levels of the Mind Fields, we examined the subtlest of energies possible that can be utilized on Earth today. Now that we are aware of these as energies and know of our own experience that they do exist, we can learn how to benefit from them and integrate them into the fullness of our lives.